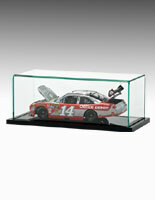 This Acrylic Display Case Offers Easy Access And Protection for Your Valuable Collectibles! Frameless Syling Offers Full Visibility! This Acrylic Display Case is One of Many Available In Stock Online! Removable top for easy access to collectibles. Durable clear acrylic designed for years of use. Comes with an acrylic riser to keep round objects in place. 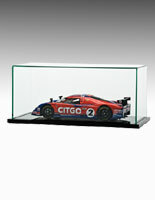 A collectible case, acrylic display case adds an elegant touch to your collectibles. This acrylic display case, also known as an collectible case, features four sides of clear viewing. With this acrylic display case, viewers can appreciate the beauty of the collectibles at every single angle without damaging it. Skillfully crafted from 1/8" thick acrylic, this acrylic display case is made to be durable and can last for many years to come. With a crystal clear finish, this acrylic display case can easily blend into any environment. 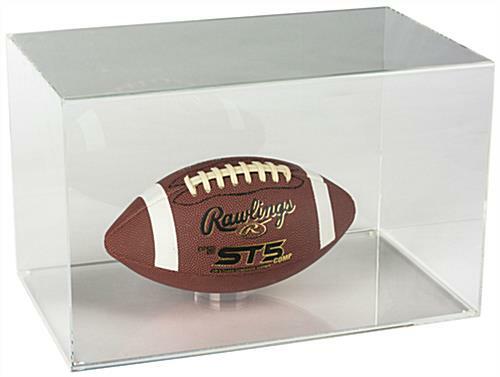 This acrylic display case is 15-3/4"w x 9-3/4"h in size, designed perfectly for displaying figurines, sports memorabilia, collectible dolls and model cars. 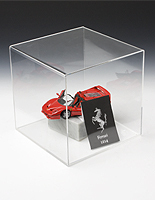 This acrylic display case is ideal for protecting your investments from dust and daily wear. 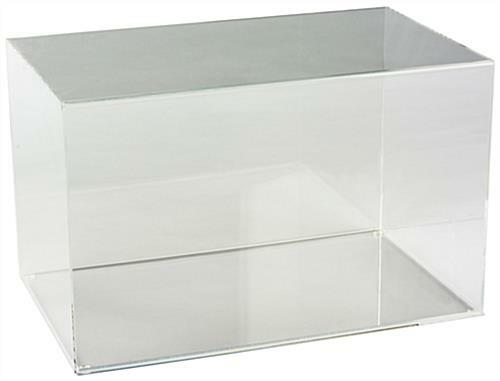 Surely, if you want to protect your valuable action figures or sports memorabilia from getting dusty or being damaged, this acrylic case is the ideal solution. We include this acrylic display case with an additional acrylic riser that can be used to display any collectibles that have a round surface. The riser can help to keep the displayed items in place. 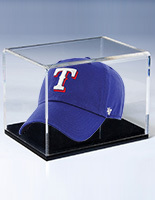 This collectible holder, acrylic display case also has a removable plastic top for easy access. 15.8" x 9.8" x 9.8"
15.5" x 9.4" x 9.4"
15.5" x 9" x 9"